26 Nov, 2017 – Own Art Now Available! We are delighted and privileged to announce that Silson Contemporary now can offer Own Art interest free loans on purchases of artwork, including paintings, sculpture, prints, ceramics and jewellery. Established by the Arts Council in 2005, the scheme helps make art buying more affordable and accessible – the purchaser pays no deposit, no interest and no fee and can walk away with the artwork that day! 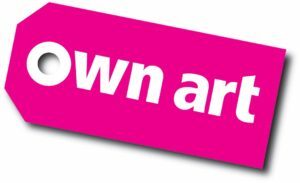 Available only at selected galleries across the country, Own Art is available on purchases from £100 to £2,500, with a maximum term of 10 months. So, for example, a beautiful painting costing £400 can be bought for £40/month. A very appealing prospect! More details are available from the gallery – it really is very easy.